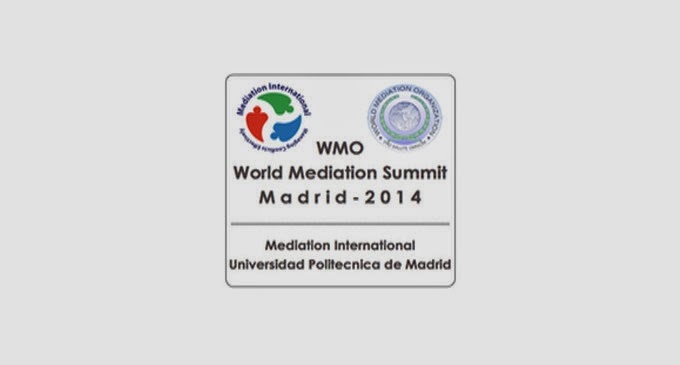 La WORLD MEDIATION SUMMIT - MADRID 2014, in perioada 1 - 4 iulie 2014, vor avea loc prezentări din întreaga lume, inclusiv Europa, America, Australia, Africa şi Asia, pe lângă programele de training ADR şi ODR. - si multe altele www.worldmediationsummit.org/summit/schedule.html. De asemenea vor lua cuvântul reprezentanţi de la Ambasadele Internaţionale, membrii ai Mediators Beyond Borders (MBB), Amnesty International şi mulţi alţii care vor vorbi despre conflictele internaţionale actuale unde medierea a avut impact. De-a lungul Summit-ului, nu am ignorat dezvoltarea tehnicior ADR în ultimii ani şi impactul major al soluţionarii conflictelor online – ODR, pentru viitorul medierii. Ca atare, participanţii vor afla multe informatii de la furnizorii platformei ODR şi vor discuta despre viitorul Small Claims Mediations cu experţi europeni care mediază litigii transfrontaliere in mod frecvent. În cele din urmă, acest summit internaţional include, în taxa modestă de participare, programe de training pe parcursul celor 4 zile de summit, pentru cei interesaţi să îşi perfectioneze abilităţile de mediere. World Mediation Organization oferă certificate de training pentru participanţi (care pot fi folosite pentru 20 de ore din necesarul anual de training). Înregistraţi-vă cat mai curand pentru a fi siguri că obtineţi taxa redusă. Pentru întrebări vă rugăm contactaţi kevin@mediationinternational.eu. Evi Avlogiari, LL.M. - Thessaloniki, has many educational and professional positions: Lawyer (Bar Association of Thessasloniki), Accredited Mediator (CiArb London), Accredited Trainer (The Toolkit Company & CEDR), LLB & LLM in “Medical Law and Bioethics” (Aristotle University of Thessaloniki), Basic trainer in Mediation Training Institute of Thessaloniki and ADR Group (UK), Member of Thessaloniki’s Bar Mediation Committee, Representative and member of the Executive Committee of Hellenic Mediators’ Association, Founder and President of ADR Hellenic Centre, Member in International Association of Sports Law. Ayo Ayoola-Amale, LLM - Accra is an educator, lawyer, peace builder, etc. She is the founder/president Splendors of Dawn Poetry Foundation (Nigeria & Ghana). She looks for innovative ways to promote peace through poetry and art. A senior lecturer Ghana Technology University, she has more than eighteen years’ legal experience as law tutor and legal practitioner handling a diverse civil litigation caseload and over a decade practice as a peace builder. She was a senior lecturer and head of law at Kings University, Ghana. A Columnist and a skilled communicator who is able to combine and deliver complex information to different audience, Ayo is continuously striving to help the youth realize their potential as agents of positive social change. She is known for an interactive teaching style that encourages, inspires and develop rigorous and critical thinking in students while facilitating learning. Constantly focused on mediation and peace-building, she believes that peace is a culture that we build by educating young people. She is the president of Women International League for Peace and Freedom, Ghana section, President -Africa of Global Harmony Association, Vice- President Global Harmony Association and the Muse of Poetic Harmony in Africa. High Court Judge Francis Belle, Eastern Caribbean Supreme Court - has been a High Court Judge of the Eastern Caribbean Supreme Court since 2003. He is currently assigned to Saint Lucia but has served in this capacity in Grenada, Antigua and Barbuda, Dominica and St Kitts Nevis. Justice Belle has also worked as Senior Crown Counsel in the Attorney General’s Chambers of the British Virgin Islands; Director of Public Prosecutions in St Kitts Nevis; as a partner at the law firm Hewlett Beck & Arad again in the British Virgin Islands and has sat on the Court of Appeal of the Eastern Caribbean Supreme Court in St. Kitts Nevis, Montserrat and Saint Lucia. He has been recently appointed to the Board of the Foundation for the Development of Caribbean Children (FDCC), and holds the position of District Manager - Barbados & St. Lucia (World Mediation Organization). Among the highlights of Justice Belle’s impressive academic career is a Master of Science Degree in Conflict Analysis and Resolution from the Graduate School of Humanities of Nova Southeastern University in Fort Lauderdale, Florida. He is also a Fellow of the Commonwealth Judicial Education Institute, having completed the Institute’s Intensive Training Workshop at Dalhousie University in Halifax Nova Scotia Canada in June, 2008. Justice Belle has been a member of a number of Rotary Clubs and was nominated by the Rotary Club of Liamuiga (St. Kitts) to serve on the Board of the Advancement of Children Foundation in St. Kitts Nevis from 2009 to 2010. He is married to Onel Sanford-Belle and has three children. The FDCC was launched in late 2011 in St Vincent and the Grenadines. The organisation has transitioned from the Caribbean Child Support Initiative with over 10 years experience in developing and supporting early childhood development services for children 0 to 3 years, specifically from disadvantaged households across the region. The FDCC’s chairman is Dr Didacus Jules, who currently heads the Caribbean Examination Council. Kevin Brown, Ph.D.c., Mediation International - Madrid, is currently owner and President of MEDIATION INTERNATIONAL (MI). He has over 25 rich and diverse years as a senior Alternative Dispute Resolution (ADR) specialist, both as a mediator/facilitator and as an academic theorist. His background includes; a Masters degree in International Conflict Analysis and Management with Royal Roads University, Canada and is currently undergoing his Ph.D; 25+ years experience as a mediator/Ombud; designer of dozens of ADR training programs, over 4000 hours facilitating ADR training programs and has a wealth of knowledge pertaining to the provision of ADR. His company, MEDIATION INTERNATIONAL, has the distinction of being approved as a Qualifying Assessment Program (QAP) for International Mediation Institute (IMI) Certification. Currently, he provides mediation services with MEDIATION INTERNATIONAL and Small Claims Mediation and most recently offers mediation to the Canadian, USA, British, German, Irish and Israel Embassies in Madrid, Spain. Kevin provides ADR training through MEDIATION INTERNATIONAL and World Mediation Organization while providing ODR training with MI, Small Claims Mediation and ODRO. He provided training at the cultural awareness programs offered to the Canadian Military Peace Support Training Centre (PSTC). He led the ADR component of the Joint Inter-Agency Multi-National Public (JIMP) program which designed a methodology to assist in the building of trust and interpersonal conflict management skills in situations where NGO's, Gov't and military are working together with similar objectives. He developed ADR training programs for a G-20 Summit similar to the training provided to the RCMP, Heritage Canada and Military for the 2010 Olympics. Kevin co-developed the syllabus for the national ADR training program, currently utilized at all military bases across Canada. Daniel Erdmann, Ph.D., World Mediation Organization - Berlin, during his educational path, from Foundation to Conflict Management, he discovered the fascinating and challenging context of Intercultural Communication and Conflict Negotiation. This made him study Mediation in Germany, Spain, Austria and Gambia. On receiving his Master’s Degree in Mediation and Conflict Resolution, he completed, as first person worldwide, a Ph.D. Program dedicated to Mediation only. Today, he is the Director General of the World Mediation Organization (WMO), and a Professor and Director of the School of Mediation at EUCLID University, where he created the proper Faculty of Mediation and Conflict Resolution and designed the corresponding curricula. By acting as a COTIPSO Training Partner and Thesis Advisor at the Peace Operations Training Institute, he built a direct linkage to the field of peace making and peace support. He published several books and training manuals on Mediation and Conflict Negotiation. All professional skills are provided in English, Spanish and German language. (Alternate dispute resolution) negotiation consultant, facilitator, trainer, and Alternative Dispute Resolution (A.D.R. /O.D.R) systems design specialist. Thomas is an experienced mediator and arbitrator in over 1000 commercial and international cases with over 11 years experience in commercial mediation and arbitration. He was an adjunct instructor and mediation coach at York University, Atkins College Law School, in Toronto, Canada teaching courses in Negotiation and Alternative Dispute Resolution. The Mediator Certification Course trains, HR personnel, international lawyers, arbitrators or law students to expertly resolve conflicts using principled negotiation, developed at Harvard, and learn how to mediate disputes. You will develop the practical skills and techniques you need to resolve disputes effectively and with confidence. The customized courses or seminars will give you the tools to manage conflict between two or more parties that otherwise may escalate into costly litigation. Thomas is the past President of Upper Canada Dispute Resolution and past member of the ADR Institute of Canada, the Arbitration and Mediation Institute of Canada, and the Arbitration and Mediation Institute of Ontario. Thomas is a Chartered Mediator (C.Med. ), a Chartered Arbitrator (C.Arb. ), and a past Fellow of the International Academy of Mediators. He has mediated two-party and multi-party disputes in numerous contexts, including commercial, employment, corporate governance, workplace, banking, personal injury, and breach of contract. He is a member of the Local Mediation Committee for the Ontario Mandatory Mediation Program – for the Toronto, Windsor and Ottawa superior courts. He has also mediated and arbitrated numerous commercial cases in person and online including cases for the Ministry of the Attorney General for the Ontario Government in Canada. Thomas has attended the University of Windsor faculty of Law and Harvard Law School’s Program of Instruction for Lawyers, where he participated in the advanced negotiation and mediation workshops. Thomas frequently lectures on mediation and negotiation issues, and has taught mediation techniques at York University, Atkins College, Faculty of Law and O.D.R at Sanjung University in Nanjing, China. Dr. Michael Gottlob, Amnesty International - Berlin, born 1950, studied history, philosophy and German literature at the universities of Berlin (FU), Edinburgh, Bochum. Dr. phil. at the University of Heidelberg in 1988. Professional activity as German language teacher for migrants and as visiting lecturer in German language and literature at universities in Italy (Catania, Bergamo) and India (Karnatak University, Dharwad), many years with the German AcademicExchange Service. Research fellow at theCentre for Interdisciplinary Researchat Bielefeld University 1994-96. Numerous publications on the history ofhistoriography, intercultural comparisonof historical thinking and the politicaluse of the past (last: History and Politics in Post-colonial India, New Delhi: Oxford University Press, 2011). Member of Amnesty International since 1969, currently spokesperson of the India Co-group of the German section. Jo Holland, CEO Small Claims Mediation - Leicester, is a CEDR trained and accredited mediator specializing in small claim disputes. Her experience extends to in excess of 800 mediations. Jo was a civil servant who went through a tough assessment process to determine if she had natural skills to become a mediator, she was successful and promoted to senior manager level and undertook her training by CEDR. Unlike most mediators fresh out of training, Jo took over the East Midlands Court Circuit and set up the HMCTS Small Claims Mediation Service. Immediately mediating 4 cases every day along with fully managing the service, its’ administration and liaison with the Judiciary and stakeholders. Jo achieved a settlement rate of 90% and 100% client satisfaction. Having spent 20 years in the Civil Service, and looking for a new challenge, Jo made the decision to leave to realise her dream of setting up her own private mediation practice. Using her knowledge of the HMCTS model she has developed a service offering proportionate dispute resolution using telephone and has extended that model to include ODR in light of the EU Directive on ADR/ODR Consumer Redress. Jo’s aim was to create an affordable accessible service for users and steady work for mediators and has established herself as the market leader in small claims mediation. Jo has a large panel of mediators working across the UK and has developed links in other European countries to establish her type of mediation service for small claim disputes. Jo has challenged the way disputes are resolved and has raised the profile of mediation, demonstrating to large organisations the huge benefits of using mediation rather than adjudication. She convinced the largest UK Government backed tenancy deposit scheme to run a mediation pilot alongside their adjudication scheme, the pilot has already demonstrated faster dispute resolution, reduction in complaints, higher customer satisfaction and significant cost savings for the not for profit organisation. Her proposal to the largest UK law firm franchise was accepted and the launch for a joint small claims service is expected January 2014. Whilst sounding like a cliche, Jo has the kind of passion and determination that will ensure she continues to bring small claims under the spotlight, and as a result reduces the burden on the courts that the high volume of these disputes creates. Deniz Kite, Ph.D., International Peace and Mediation Academy - Istanbul, is the first professional mediator of Turkey, trainer atHacettepe University Conflict Resolution and Peace Programme, listed trainerand meditor at Turkish Ministry of Foreign Affairs, Former Member of BoD atMediators Beyond Borders Washington D.C, Coordinator at East MediterraneanUniversity Mediation Programmes in North Cyprus, the first Turkish Mustesharof Egypt, Founding Member of Mediterranean Mediators Workshop, listedinternational mediators of Milan Chamber of Commerce, Turkey and NorthernCyprus Country Representative of World Mediation Organization, aprofessional speaker, author, caoch, poet and trainer. Before she started her career as a trainer in 2003, she lived 14 years inVienna during which she was focused on fashion design and corporateclothing. Some of her customers were ÖWD, Securitas, Tchibo, Anker Brot, Daimler Benz, etc. After studying International Relations, MA Physchologyand PhD in Management, she focused on mediation "had her mediation trainingin Vienna" and as for today, she trained more than 400 mediators in Turkey who are the first trained mediators in the country. She has relationships with Ministry of Foreign Affairs, Ministry of Familyand Social Politics, Ministry of Education and Ministry of Justice, she aswell developed considerable programmes with many Chamber of Commerces suchas Kayseri, Gaziantep, Adana, Konya, Mersin, Ankara, Denizli and with BarAssociations such as Ankara, Adana, Istanbul, Gaziantep. She delivered trainings such as communication, decision making, problemsolving, time management, coaching, intercultural communication,negotiation, feng shui, conflict management and resolution, tele-marketing,international marketing, etc to many national and internationalorganizations such as Marks & Spencer, Istanbul Municipiality, AksaJeneratörleri, Turksih Military Academy, Inci Yaldız, Coca- Cola, AcıbademHospitals, special categorized Hotels in Cappadokia, Ottoman Imperial Hotel,at European Development Centers at Denizli, Gaziantep, Kayseri, Adana,Mersin, Tranzon, Government SME Development Centres. She served as mediatorat different companies; Coca-Cola, Fenerbahçe, Adana Demirspor, some familybusinesses which their names can't be mentioned in Gaziantep, Kayseri,Antalya, İstanbul, İzmit, Nevşehir, Adana. Besides she works closely withdifferent Rotary Clubs and some other respected NGOs in Turkey. Deniz Kite has written 8 books; 4 peotry books, 2 books on mediation, oneincluded her paintings and was on meditation and one philosophical novelbetween 2005-2013. Her last book "A Mediators Hand Book" is at thepublisher now and be on sale by september 2013. She wrote InternationalPolitics at Cumhuriyet Newspaper between 2003-2004 and continued herwritings at different e-magazines, journals and blogs. Her last article waspublishes at Turksih American Bar Associations Magazine in 2013. She hasbeen invited many times to Tv programmes, such as Sky News, Star, Haber 24,Kanal 7 and was speaker at many conferences some of which are American BarAssociation Conference, MBB Congress, United Nations, New York PeaceInstitute, Turkish Mediators Congress. C.V. H.E. Mr. Masood KHALILI - Kabul, is the current Ambassador Extraordinary and Plenipotentiary of the Islamic Republic of Afghanistan in the Kingdom of Spain. He earlier served in the corresponding way in Turkey, India, Pakistan. He holds a Master's Degree in Political Science and offers a broad expertise regarding international negotiation and supporting international NGOs. Participated in bilateral and multilateral meetings on behalf of the Afghan Government, with President Carter, President Bush (Senior), President Mubarek, President Khatami, President Zia-ul-Haq, King Fahd, Prime Minister Benazir Bhutto and Prime Minister Nawaz Sharif. He was invited to offer lectures at different universities such as George Town, Columbia, Princeton, Achan (Germany), Azhar (Egipt), Bilkent, Baskent, Ankara, Intanbul University (Turkey), Vienna (Austria), Delhi, Jamia Millia Islamic University (India), Beijin (China), University of Leon (Spain) etc. Paul Randolph, Barrister - London, is a highly experienced mediator, trainer, lecturer and author. Following 35 years at the Bar as a litigator, Paul moved to being a full time mediator in about 2007. He now has considerable experience in mediating in a very wide variety of disputes, from Commercial and Contractual cases to Family, Employment and Workplace disputes. He is Course Leader on a Mediation Course at the School of Psychotherapy and Counselling Psychology (SPCP), Regent’s College, London. Paul, together with the late Dr Freddie Strasser, an eminent psychotherapist, conceived and designed this Mediation Course in 1998. He created and wrote all the training materials, and since 1999 he has been the Course Leader and Lecturer on the course. He has now trained over 1000 mediators, in the UK, the Channel Islands, Latvia, Croatia, Romania, Albania and Jordan. Paul conducts the course for in-house training, and has trained HR personnel in several substantial organisations, in conflict avoidance and conflict resolution. Paul has developed a specialist expertise in the psychology of Conflict. He has given presentations on Conflict Management, Conflict Avoidance and Conflict Resolution at conferences in the UK, China, India, Russia, Denmark, Italy, Austria, Switzerland, Hungary, Poland, Romania, Estonia, Latvia, Croatia, Romania, Albania and Jordan, to commercial, legal and government organisations. The unique ‘psychotherapeutic’ model of mediation taught on his courses has achieved wide acclaim, and has also furnished him with an added insight into the psychology of conflict, providing him with an edge on mediators trained elsewhere. This additional experience of training and supervising mediators, combined with the communication skills gained as a barrister, enable him to be particularly effective in conflict resolution, as well as in conflict management. Paul Randolph specialised in Professional Negligence since 1990. He had very considerable experience in dealing with Solicitors’ negligence as well as professional negligence in accountancy, in the property and construction industry (Architects, Surveyors and Engineers). His Clinical Negligence and PI practice ranged from cases of the utmost severity (head injury, quadriplegia, spasticity and other severe brain injury), to minor “whiplash” injuries. He wrote an article on Smith v Manchester Awards in JPIL . Paul is currently Adviser to the Trustees of the Slynn Foundation. He was a former member of the Bar’s Central and Eastern European Committee, involved in forming and promoting the Bar’s policy on providing legal know-how and assistance in Europe; and co-ordinating the Bar’s participation in the Central European Bi-Lateral Law Associations. He was the Chair of the British Estonian Latvian Lithuanian Law association (BELLA), and Vice Chair of the British Hungarian Law Association. Paul continues to work extensively in Central and Eastern Europe, lecturing, promoting, and raising awareness in mediation, as well as training lawyers, Judges and other professionals to become mediators. Paul has worked in China, Mauritius, India and Jordan, lecturing on and promoting mediation. He is currently assisting the Bengal Chamber of Commerce in developing a full mediation service, and similar work is planned in Mumbai and in Cochin, India. Bill Scouller, ODRO - Edinburgh - has held senior management positions over many years and most recently he was Chief Executive of innovative 200 legal firm owned enterprise in Scotland. He has strong beliefs that businesses can only achieve their full potential through effective collaboration with all stakeholders playing their unique role. He recently completed training with the Scottish Social Enterprise School in Edinburgh, funded by Bank of Scotland. He is passionate about making dispute resolution accessible, fast and positive for all experiencing human conflict. Ruth Sirman, B.Sc. - Kanata - is a veteran Workplace Conflict Management Specialist with extensive experience in leadership, mediation, training, intervening in complex multi-party disputes, workplace assessments, arbitration, conflict coaching and critical incident stress debriefing. She has proven her ability to relate constructively to senior leadership groups, people of diverse backgrounds, ages, and skill levels. Ruth is well known for her exceptional presentation, training and communication skills and her ability to help participants overcome their fear and engage in difficult conversations. Her professionalism and integrity pervade all aspects of her work with individuals and organizations. Thomas P. Valenti, P.C., Mediator Beyond Borders - Chicago - is a lawyer, mediator, chartered arbitrator (CIArb) and facilitator. He is available to assist in all types of disputes including personal injury; family; business; employment; elder care; community as well as group facilitations. He has been a litigator throughout his legal career on behalf of plaintiffs involved with personal injury claims or on behalf of commercial and insurance defendants. He has been involved in many jury trials as well as a number of bench trials, arbitration hearings, and mediations. Mr. Valenti has had the most ongoing involvement with the areas of personal injury and tort claims, business disputes and insurance coverage issues. 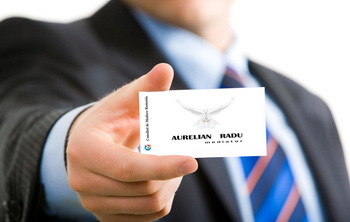 He offers arbitration and mediation services. Maria Claudia Solarte Vasquez, Ph.D.c, Tallinn University - Tallinn, is lawyer, international mediator and a learning facilitator who has been involved in the dissemination of conflict management and dispute prevention culture for almost two decades. She is currently conducting advanced research on the impact of digital technologies onto formal and informal social institutions, in particular self-regulatory aspects applicable to dispute resolution and their catalyzing effect on conflict management competence building. Among her most important proposals is to assist the task of contracting using alternative transactional languages, such as sound, gestures or graphics. Her professional activity in the field of international business and contractual risk counseling initiated her into the field of conflict management and legal negotiations. From 1996 she has mainly been devoted to academic development of courses that incorporate preventive and proactive law approaches, training for transferable competences on collaborative legal practices for the global affairs context. She has lectured in the area of negotiation, introduction to law, governance and public administration, comparative legal traditions, conflict management and innovative legislative policy, particularly on what relates to the evolution of legal systems and their consistency with technological paradigms. The main concerns addressed by her courses and writings focus on the limits of the state capacity, the doctrine of the rule of law and the legitimacy of legal standards to resolve fundamental human conflicts. Carlos Terrones, MPA - New York, is a Strategic thinker and leader with experience restructuring complex programs in war zone environments and local governments. Expert executing economic and political policy reforms in post-conflict, conflict, and non-conflict countries. He holds an MPA from Columbia University - School of International and Public Affairs and an Executive Education in Government Performance from Harvard University - John F. Kennedy School of Government. He is the author of the book" THE OTHER FRONT IN AFGHANISTAN - Stories of Maiwand Building Governance and Development. Civilian and military practitioners have praised the book as it shows stabilization, development, and governance best practices and challenges. He served as a civil society/governance advisor to the Organization for Security Cooperation in Europe (OSCE) and Albanian Government, managed and coordinated the U.S. Agency for International Development (USAID) Food Aid Development programs in Latin America and Asia, and collaborated with the mobilization of USAID's anticorruption program in El Salvador, Guatemala, Panama, and Dominican Republic. In Iraq and Afghanistan, he served as the Special Governance Advisor to Senior U.S. Military Officers and its units, Local Government Officials, and Senior U.S. Federal Government Officials. Carlos received the U.S. Department of State Meritorious Award for turning around the Maiwand District - known as the birthplace of the Taliban, was awarded the U.S. Army Task Force 1st Battalion 2nd Infantry Regiment Service Award, and was recognized by the Iraqi and Afghan government for his commitment to public service. He has conducted studies on Democracy and Religion in Pakistan and the Constitutional Indigenous Movement in Bolivia. Currently, he writes and lectures on stability operations and transition in Afghanistan. Irena Vanenkova, International Mediation Institute (IMI) - Moscow, is Executive Director of the IMI. She is a CEDR-Accredited mediator (1998) as well as holder of the MATA advanced mediation certificate. Irena holds the English Tutor Diploma of The Linguistic University in Moscow (1983), a Bachelor of Economics at the Moscow Institute of Business Studies (1997), and a Diploma in Public Relations Management at the Moscow State University (2001). Irena’s prior career included positions as Commercial Projects Manager – Russia of International Distillers & Vintners Limited (1992-97), Deputy Chief Representative – Russia of CDR International (1997-98), and Public Relations Manager of IKEA Russia (1999-2006).